Feed enzymes market have become a crucial part of commercial animal feeds and the market for the former is estimated to touch USD 1450 million by 2021, growing at a CAGR of over 7.3% during 2016-2021. Enzymes are natural proteins that are secreted by all animals as part of the feed digestion process. These are naturally formed and secreted in the animal body to digest carbohydrates, lipids, proteins, and mineral complexes. Feed enzymes are included in feeds to improve the utilisation of energy and nutrients or to degrade several undesired components. These feed enzymes primarily improve the gut and performance of animals while considerably reducing feed and waste management costs thus making animal farming sustainable. Usage of enzymes improves animal performance, the profitability of livestock farmers and reduces environmental pollution. The end consumers of feed enzymes are compound feed manufacturers, integrators, farmers, home-mixers, livestock, and aquaculture industry. The absence of certain enzymes in the livestock has led to the wastage of few essential nutrients and increased the cost of feeds to compensate the appropriate nutritional elements, but the inclusion of feed enzymes is an effective substitute to achieve optimum feed efficiency. 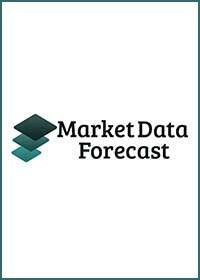 Demand for high-quality meat, developing economies with disposable income and industrialisation of livestock industry have majorly driven the growth of the feed enzymes market. The main obstacle to the growth of feed enzymes market is the rising cost of critical raw materials and price volatility of agricultural commodities. Asian countries like India, Vietnam, and Thailand, etc. would provide the future growth potential for the market. The major enzyme category used for commercial manufacturing of feed enzymes are carbohydrases and phytases; carbohydrases are the most widely used enzymes accounting for around 49% of the total feed enzymes market volume. The market is further segmented as per animal types, out of which poultry is the largest segment accounting for 42% of the global demand. Feed enzymes, when used in higher quantities, are found to have adverse effects which act as a restraint for this market. Europe is the largest market for feed enzymes with poultry being placed as the largest segment globally. The growth is seen trending in all the stable and upcoming markets globally. Asia-Pacific is the fastest growing region mainly due to the increased awareness among the farmers about the benefits of enzymes and simultaneous growth in adoption. Europe region is the largest market for feed enzymes with a share of 44%, due to high demand for quality meat and meat products. The global feed enzymes market is concentrated in the Europe and North America regions and is driven by large global players. Presently, there are many active players in this industry such as Alltech Inc., BASF, Dupont and others. Leading companies are focused on acquiring small scale enzyme manufacturing units for expansion of their feed enzymes business in local as well as foreign market.